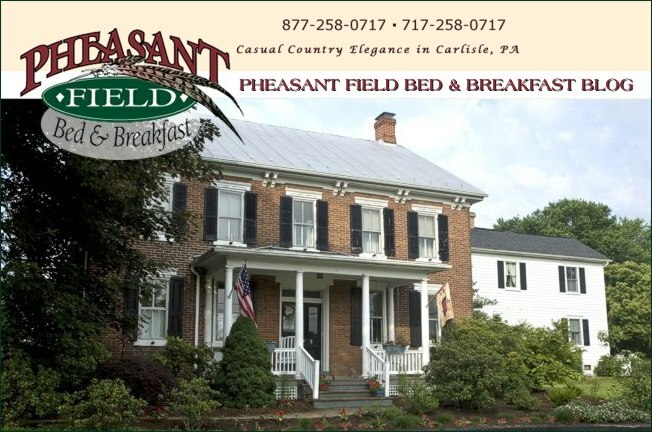 We will have a white Christmas this year at Pheasant Field Bed & Breakfast. We are expecting about 11 inches of snow today. If you come here today, you will see us using the snow blower, shovels, and the Kubota to move the pretty white stuff. I'll be singing to myself through most of this effort: "Walking in a winter wonderland" or "I'm dreaming of a white Christmas" or "Frosty the snowman" or - well, you get the picture! We just received our discount lift tickets from Ski Roundtop... perfect timing for the snow! Some hearty skiers I know will hit the slopes at 8:00 AM this morning and enjoy the real snow on top of the base that the snow machines had already started. Nice! Enjoy this last weekend before Christmas - with snow or without it!